You've been playing craps for months along with your best mates but you're wondering why they're enjoying it so much and you're constantly looking at your watch. It may simply be that you’re playing the wrong game for your personality type. A fair amount of research has been done on this topic and numerous analyses have been made as to which personality type suits which game. Author and mathematician, Henry Tamburin, says in his book "Choosing the Right Casino Game" that a player's personality has a lot to do with choosing the right game to play. Tamburin, who has published approximately 700 articles on various casino games from black jack to video poker to craps in publications such as Gaming South Magazine, Casino Player Magazine, The Gambler Magazine and Strictly Slots says that there are around ten different personality types and each type is better suited to playing certain games than others. For example, if you consider yourself an introvert the best game for you to play would be the slot and video poker machines, however if you're the outgoing, assertive extrovert type, you'd be better off playing craps where the energy is high and excitement brimming. It stands to reason that whilst all these personality types make perfect sense whilst on the casino floor, the lines become a little more blurred with online gambling which allows more of a cross pollination video gambling realm. This doesn't however discount the fact that certain personas are naturally inclined to lean towards certain games which draw them but it does however give the online gambler the opportunity to dabble between several games without the associated anxiety of "Will I be any good at it?" or "I don't know what I'm doing!". 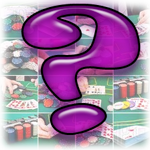 Reasons for the growing popularity of online casino games goes much further than the points mentioned above. Not only is online gambling one of the most exciting forms of entertainment available, but it also allows the user flexibility, offers higher pay-out rates, superior security, better odds, confidentiality, an easily accessible extensive selection of games, hassle-free banking as well as other promotions and bonuses not always offered by traditional casinos. If these reasons aren't enough for you, consider the advantage of being able to take your preferred casino with you wherever you go. A win-win situation if you ask me. Excuse the pun.